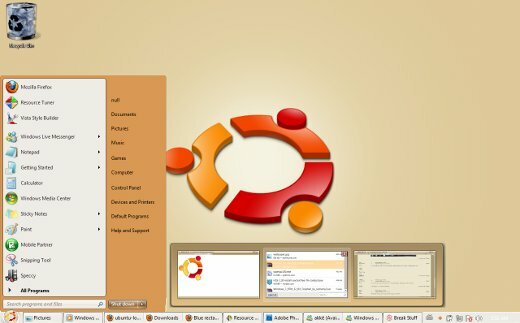 Ubuntu!, one of the most popular Linux Distribution, has a unique impression among the desktop users specially in terms of look and feel(Actually it has also better performance than other competitive operating systems(Windows 7(win7),Mac etc.) ). The reason is simple – availability of a collection of good looking themes and the customization level(due to GNOME,which is the default desktop(Window Manager)) it supports. 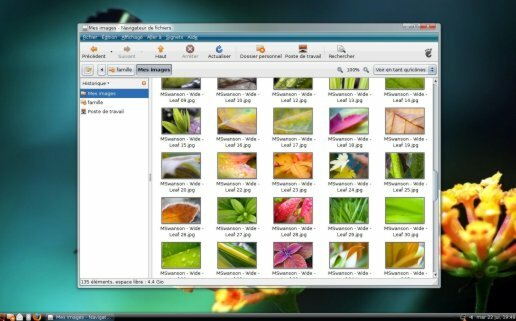 Actually, it is very simple to develop a windows 7 theme for Ubuntu but it’s not an easy task to develop a Ubuntu Theme for Windows 7 users(which will give the windows 7 users a feel/look of Ubuntu; probably in terms of icons,logo,desktop background,windows control buttons etc). So this post is written for a windows 7 user(Of course You!) to provide them a snapshot,an overview of how the ubuntu theme will look on Windows 7; along with the theme (download link) that you need to install. Get this theme now! (File Size is 1.6 MB) – Download Ubuntu Theme for Windows 7. Conclusion : This theme will just give you some visual style/look of Ubuntu, on windows 7.If you really like the look of Ubuntu, then why don’t you try Ubuntu! it is open source and available Free! just give it a try(you can install both Windows 7 and Ubuntu 10.10(latest stable version) as dual boot).